At 25, the youngest person ever to receive a Nobel Prize. He was the son of W.H. Bragg. Note that the PhD did not exist at Cambridge until 1919, and so J. J. Thomson and W.H. Bragg were his equivalent mentors. Sir William Lawrence Bragg CH OBE MC FRS (31 March 1890 – 1 July 1971) was an Australian-born British physicist and X-ray crystallographer. Bragg was always known as Sir Lawrence Bragg, and his father was Sir William Bragg. Lawrence Bragg was educated in Adelaide, Australia and in England. 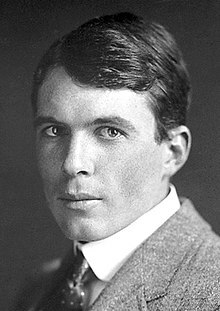 He was awarded the Military Cross in World War I.
Lawrence Bragg discovered (1912) the Bragg law of X-ray diffraction, the basis of X-ray crystallography. He was joint winner (with his father, Sir William Bragg) of the Nobel Prize for Physics in 1915. To date, Lawrence Bragg is the youngest Nobel Laureate. He was the director of the Cavendish Laboratory, Cambridge, when the discovery of the structure of DNA was made by James D. Watson and Francis Crick in February 1953. He was elected an FRS in 1921. He was knighted by George VI in 1941, and received both the Copley Medal and the Royal Medal of the Royal Society.